Can I ask for help here please but I'm not sure I've got a leg to stand on, even though it was an honest mistake. 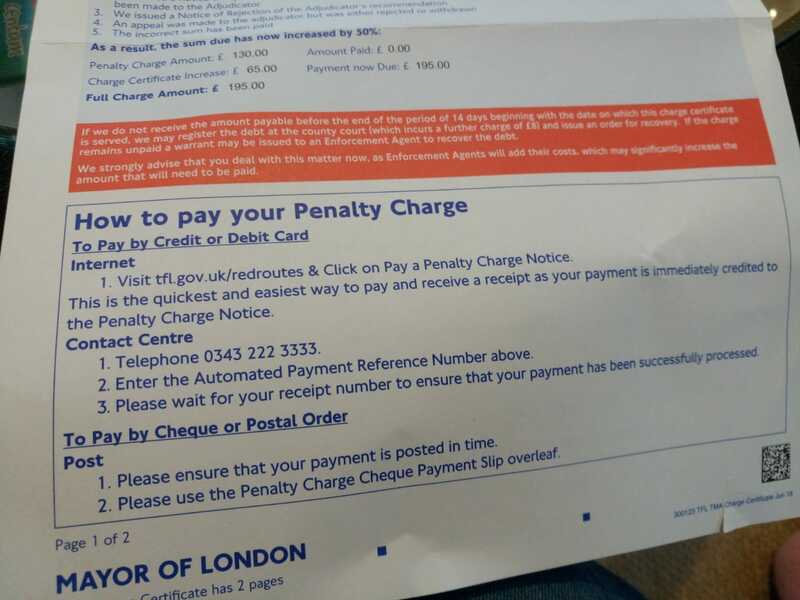 This is a Penalty Charge Notice from TfL. We don't live near London but every year we go down to Ace Cafe and every year we stop at the same Tesco Express afterwards on the way to a hotel in Hayes, to pick up a sandwich. This time I seem to have inadvertently parked in the only "space" which is oddly a red route and not a space at all! Even though I left my wife and two girls (a baby and a toddler) in the car, I presume it is still classed as parking or at the very least, stopping on a red route? 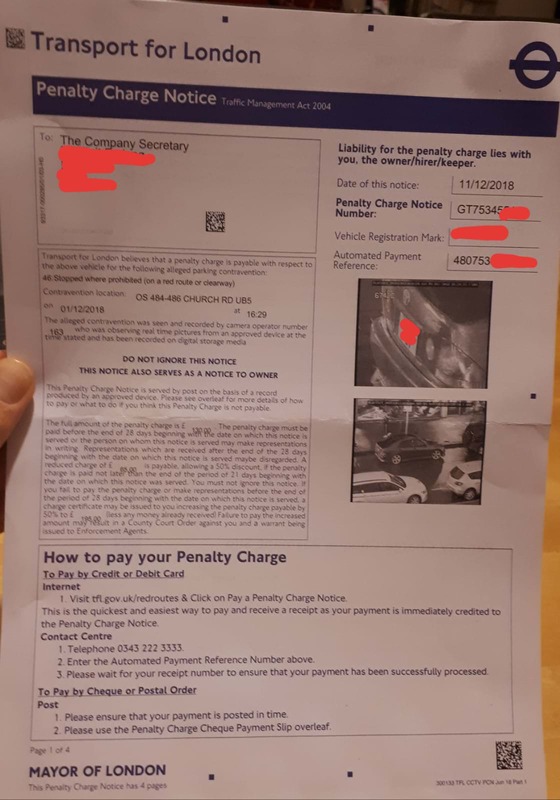 This is the the Penalty Charge Notice. As you can see it is addressed to "The Company Secretary" but it was sent to my home address and I am the private keeper of the vehicle in my own name. And two screenshots from Street view. 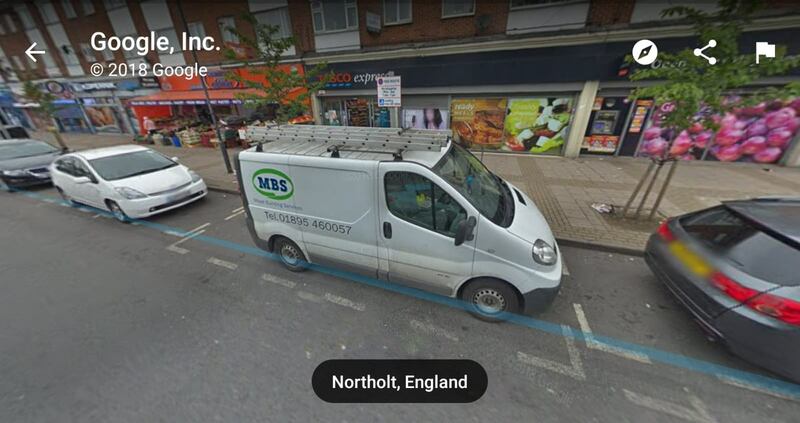 It took me ages to find this location, as the reference on the penalty notice (OS484-486 CHURCH ROAD UB5) didn't come up in a Google maps search. 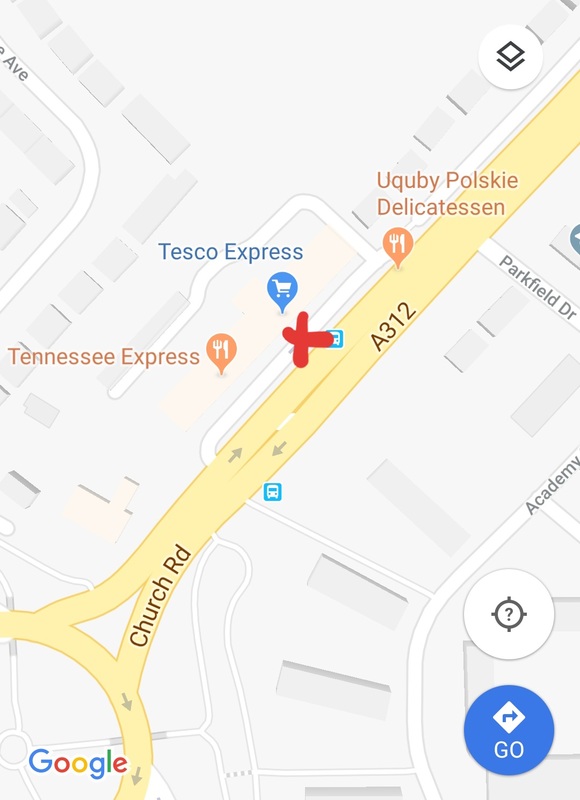 However, tracing my route, I found the correct Tesco Express and where I parked is actually on a potentially unnamed road, alongside the A312 Church Road in Northolt UB5 5AU (but maybe this is also called Church Road?). This notice arrived yesterday (13th December 2018) and the alleged offence was on 1st December 2018. So I presume I've got no grounds to challenge it even though it is extremely sneaky to put a red route "space" right in the middle of the normal parking spaces? I don't know if I've got the guts to wait that long and risk the Christmas period postage system not being sorted by then and it arriving late! LOL Too much of a gamble! I'll probably go for sending it near Christmas or at the very latest, between Christmas and New Year? The fact it took them 11 days to send something out the first time and that's when they should have had the full compliment of employees, suggests that if they get it when they will be short staffed or even closed for Christmas, it will be no way out of the door in time? Presume this is worth sending as a "signed for" as it's only an envelope and shouldn't be too heavy it shouldn't cost more than a pound or two and it would thenn let me know the date it is signed for by them so would be worth it? Out of interest, if they were to send out a valid PCN on say 28th December 2018, would this be valid (because they did it before the 29th) or would it be invalid because i didn't receive it before the 28 days? As an aside, the backlog of Christmas post is normally dealt with within a day or so after Christmas. if you send it to early then they could serve a fresh PCN. If you send it late all that can happen is the send a charge certificate to a non existent company. you can even then write to them and say" what's this no company here" they are in the same place where they cannot enforce. this might cause a bit more work for you though. I see what you are saying. My gut feeling is still that I would rather return it so that I've not made it impossible but I've made it extremely unlikely that they will be able to send a valid PCN. My issue with sending it so it arrives after the 29th December means that if they try to take it further (as a matter of principal?) they can argue that it was impossible for them to act within the 28 days from the contravention and that I took too long to return it too. Whereas if I send it back so that it arrives between Christmas and New Year and it arrives before or on the 29th, the chances of them passing it onto the right person, finding my correct name and address details, making up a new PCN and getting it out the door is slim to non existent, especially if noone is there between say 25th and 2nd. Checking the website it suggests that the red routes phone line is not open on weekends (whereas other departments are) so my aim would be to send it to land with them on either Friday 28th or ideally Saturday 29th maybe? Ah ok. I took it as 29th December because 2nd would be one day etc? Either way though I would think Friday 21st December could be too early, as even though it might be unlikely, they could do it on Friday 21st, (potentially Saturday 22nd), Monday 24th, Thursday 27th or Friday 28th if the office is open/skeleton staff all days except Bank Holidays. If I aim to have it land with them on 28th by posting it 1st class "signed for" on the 27th, they would have to turn it all around on the Friday to make it happen, I presume? The DVLA info, my driving license and my V5C (and indeed all documents) will have my name and my address across the board. Pretty sure of that so as previously thought, they must be pretty rubbish internally or by contract to end up not getting my name and address right on the PCN. I see no excuse why they would need to use the 6 month rule then? Thanks again for all the help. I understand that I ask a lot of questions but this does interest me how it works legally and what tactics are needed so I want to get this right. I know I was bang to rights really but the fact that this is a pretty sneaky situation and I'm 100% sure TfL do this to catch people out and make money, makes me want to stuff it back to them! Oh I see. So just to confirm, they have to get it to ME by the 28 days from contravention not just that they have to send it out by the 28 days? I'm not sure what to do now as I've got contradicting advice of either sending it the week before Christmas or in the New Year! My gut is still telling me to average that out to sending it somewhere on Christmas week (either 24th, 27th or 28th). I wouldn't usually both with "signed for" and choose the proof of postage but the idea of that was that I get proof that they have received it on a specific date and also extra security that it hasn't got lost in the Christmas post. You don't need any "extra security", if you can prove it was sent, it is presumed in law to have been delivered two days later. As PASTMYBEST says, the last day they could issue a PCN to you is 24 December, so if you post it to them at any point from 24 onwards, you're off the hook. Cool, thanks for that Sorry again for all the questions and clarification asked for, just want to get this right! You can get a Certificate of Posting (Free!) if you hand your letter in at a Post Office Counter which will suffice if you need proof of posting. There's nothing "sneaky" about putting a Red Route Loading Bay in a line of Red Route Parking Bays - how are the shops supposed to get their stock otherwise? 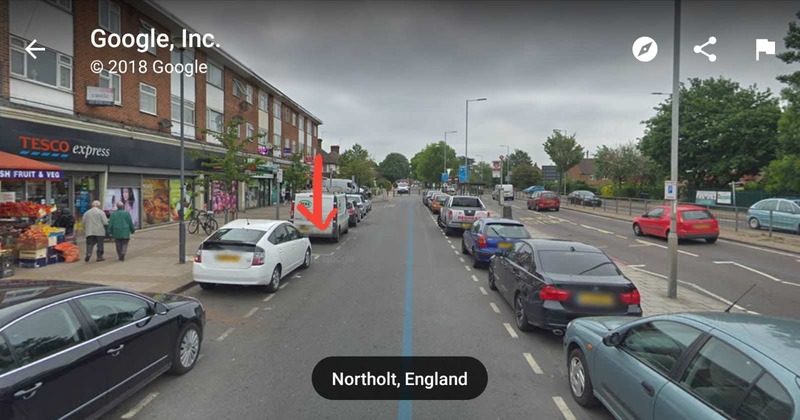 Maybe it's because I am not used to London parking then but putting a slightly wider white dashed line box in the middle of the run of white line dashed parking seems sneaky and loading areas are much more well marked in areas near me, usually with more road markings. The bay wasn't exactly big or very suitable for large vehicles to load anyway so I would have expected them to provide loading area(s) at either or both ends of that short road, where there is more space. They haven't though so that's a mute point really, just my thoughts on what would be better for shops to load and more logical. The fact that they have a dedicated camera operator on this job makes me think they know exactly what they are doing with that "space" and it's a money spinner too. Basically warrants someone to be employed so the confusion must happen a lot. That might just be my opinion though. I'm not arguing that I was in the wrong because I should have noticed the bloody big sign but I didn't even think to look up because the road markings looked the same as the surrounding spaces in the dark. Even if I had noticed the sign that would have been worse I suspect as if I had then moved my car i would have had to find a new place to park and I would have still received the fine because it wasn't "no parking" it was "no stopping" at all due to red route! Well, I thought I had got away with this one and was going to comment back here at the end of the month to do a thank you post say as such BUT it has reared it's ugly head again and I have another letter (or rather a "Charge Certificate") addressed to "The Company Secretary" again and asking for £195 now! I'll sort some photos and post them up later but should I also return this to them stating the same as the first letter that no company at this address? The cheeky buggers have not only increased it from £65 to £130 but also added on another £65 for the Charge Certificate it seems! Obviously the second half of the certificate is concerning but is it just bully boy tactics to make me pay? but is it just bully boy tactics to make me pay? It is not addressed to you, but to the Company Secretary, which is not you and does not reside at your address nor is the Company registered there. At the moment, you have no standing in the matter. Your V5 name and address is all correct? (Check, don't guess). Thanks for the reply John. That was my feeling on this too but was not sure of the next step. They seem to have completely ignored the fact I have returned the notice to them. I am 99.999999% sure my V5 is in my correct name and address but I will check tonight and let you know. If it is, do I send this back to them too with the same type of letter or do I need to do something more official?! I've just checked my V5 and everything is as expected, it shows my first, middle and surnames on the top line, then my current address on the next 4 lines. The original PCN had "The Company Secretary" on the top line followed by my address on the next 4 lines in the same way. 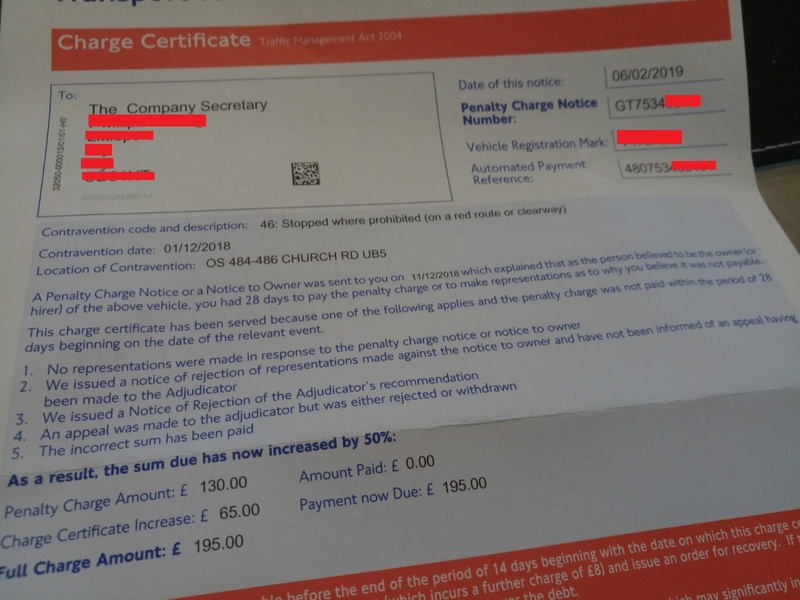 The latest Charge Certificate also has "The Company Secretary" on the top line BUT the address is slightly different because they have duplicated the line for "City" so it actually has 5 lines for the address, 3 & 4 being the same. What is my next step with this please? I'm a little worried that if it isn't sorted soon they will send enforcement agents round in the daytime when I'm at work and my wife is at home on her own with the kids!! Enclose the charge certificate and make sure you retain a copy.  My name is TJP and I reside at (insert address), I am not a company secretary and there is no company registered at my address. I have however been receiving correspondence from TFL addressed to "The Company Secretary", I do not know why this correspondence is being sent to my address but previous correspondence had been returned to you as a matter of courtesy; however this misaddressed mail has continued and I have now received a "charge certificate". I must therefore raise a formal complaint about this misaddressed mail, I am sure you will understand that the possibility that bailiffs may attend my address looking for a company that I am not connected with in any way has the potential to cause significant distress and inconvenience. I would suggest an updated address for the company could be located by performing a search on https://beta.companieshouse.gov.uk but in the meantime I look forward to receiving confirmation from you that your records have been amended to show that no company is registered at my address.